Now with the regular season behind him, the 20-year-old from Waswanipi, Que., can say he accomplished his goal, finishing the year as a top scorer for his team, the Ottawa Jr. Senators, and coming in 4th in the league. Last November, Chiwetin Blacksmith wrote a message on his Facebook page — "Final year of junior hockey, got to make it a good one." 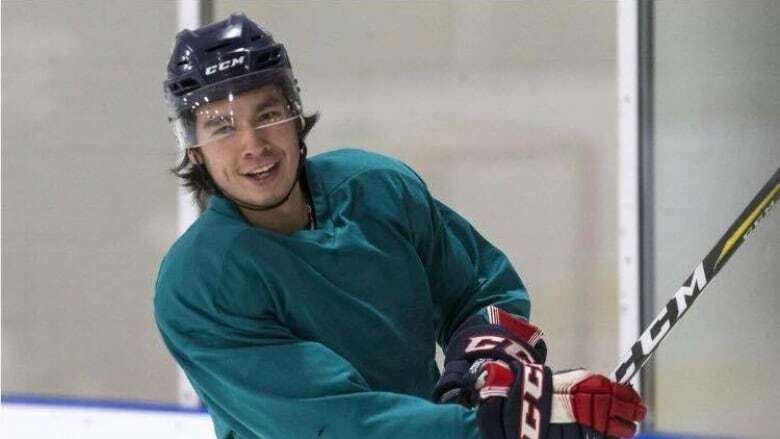 Now, with that year almost finished, the 20-year-old from Waswanipi, Que., can say he accomplished his goal, finishing the regular season as a top scorer for his team, the Ottawa Jr. Senators, and the fourth top scorer in the league. Blacksmith and his teammates are now competing in the RBC Cup, the national junior A hockey championship happening until May 20, in Chilliwack, B.C. "I've had a good year," Blacksmith said. "Our team has been hungry. We are all hungry to get the win here." Blacksmith joined the Jr. Senators in the 2016-2017 season as a left winger with a talent for setting up plays. He ended the season with 51 assists and 16 goals for a total of 67 points — 20 assists ahead of his closest teammate. The Ottawa Jr. 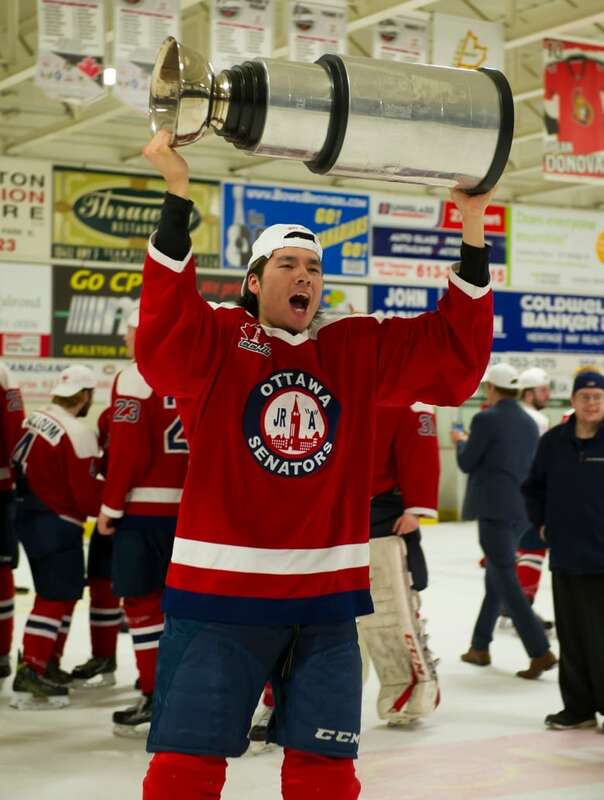 Senators won the Central Canada Hockey League cup in April after several seasons of losing in the gold medal game to longtime rival, the Carleton Place Canadians, who took the title four years in a row. "It felt pretty good," Blacksmith said. "Last year I had the choice to go to either play for Carleton Place or Ottawa Jr. Senators and I chose Ottawa Jr. Senators. It was worth the wait this year and now we're in the nationals." After their CCHL win, the Jr. 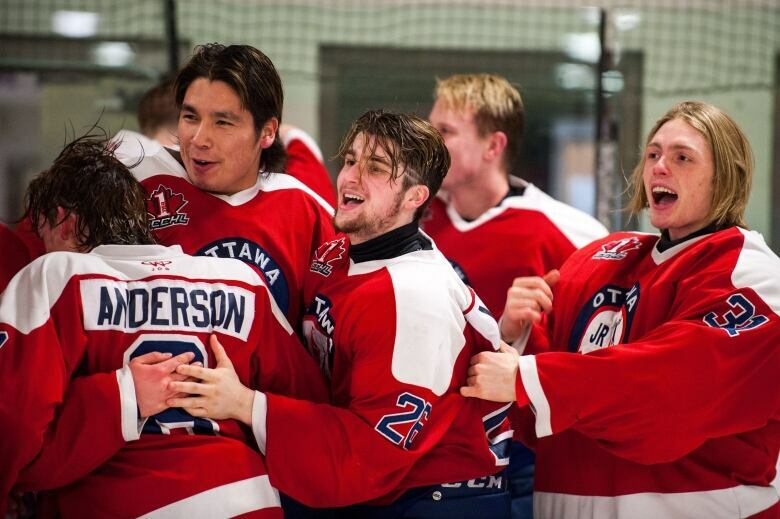 Senators went on to win the Fred Page Cup, a regional qualifying event for the RBC Cup, in early May and beating the Collège Français de Longueuil 10-1. Blacksmith says he credits spending more of this past summer doing on-ice training for his successful season. "I had a pretty big summer. Usually I just focus on off-ice [training]," said Blacksmith. "I'm also one of the older players, that could have been a factor too." Blacksmith says he misses being able to visit his home and family in Waswanipi. "Probably not a day goes by that I don't think about it. When I go home it's special," said Blacksmith. The 20-year-old says knowing young Indigenous players look up to him helps him make good choices and stay focused. "It helps [me] stay on the right route. All your actions have to be considered. If I make a wrong move it could mean a young hockey player could do the same thing," said Blacksmith.